1,000’s OF SATISFIED CUSTOMERS! THE #1 KIPPAH CLIP! Put Them on Any Kippah! When you wear your kippah, you expect it to stay in place. 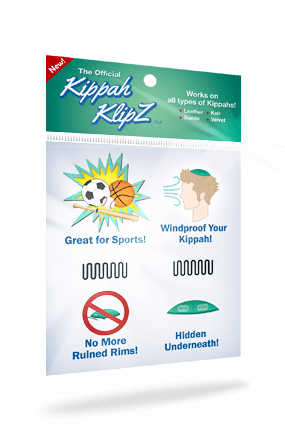 Depending on the weather or the activity you’re doing, your kippah may blow away for fall off. 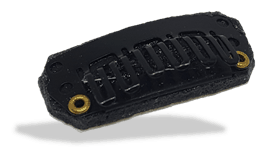 You value your kippah, and our kippah clips can keep it in place during any kind of weather or during any kind of activity. 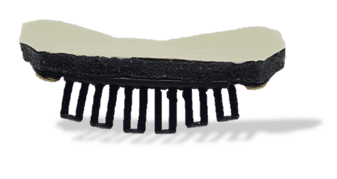 You may have used an external kippah clip or two to keep your kippah in place but, over time, these kippah clips can flatten the rim on your kippah, leave marks and make it rest oddly on top of your head. 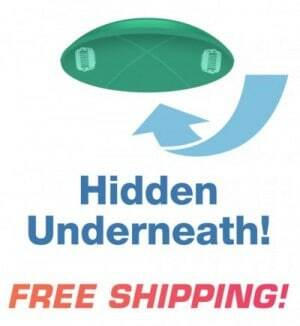 At Kippah Klipz, we offer a better solution for keeping your kippah in place: hidden clips. The bottoms of our kippah clips stick permanently to the underside of your kippah so they stay out of sight and out of mind. 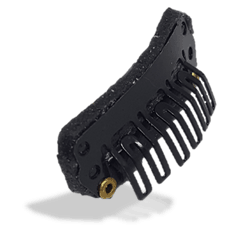 The ridged edges gently grip your hair to avoid damaging your scalp, but the clips are still strong enough to prevent your kippah from being blown away or knocked off. 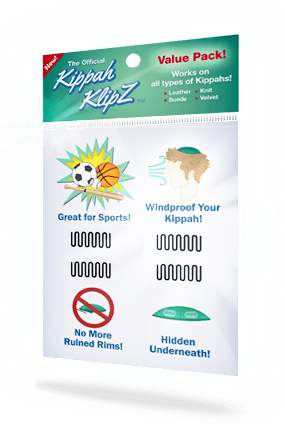 Depending on your preferences and your needs, you can purchase kippah clips in two-pack and four-pack options. 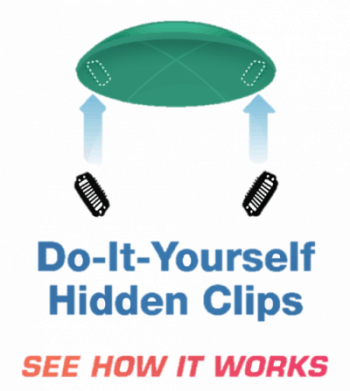 Our clips are also easy to place—simply follow our quick instructions. To further benefit you, we offer a 100% product satisfaction guarantee. If the clips come damaged or they don’t work as we’ve specified, we’ll refund your money or replace your clips. Get in touch with us by filling out our online form. You can also directly purchase the clips by clicking on the images below and adding your items to the cart. These are the kippah clips that the world has been waiting for! 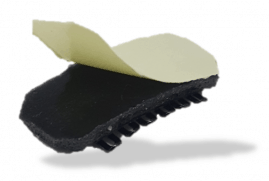 Never look for those missing kippah clips again or ruin your yarmulke with the constant scratching of your kippah from sliding the kippah clips/bobby pins on and off. These kippah clips adhere permanently to the underside of your kippah, grip your hair with ease and are super simple to open and close. Welcome to a better life- brought to you by Kippah Klipz!